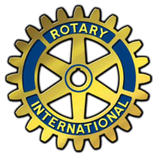 Many thanks to all members of the Rotary Club Zürich-Dietikon for managing the voluntary contributions and the administrative tasks of the finances. Also a thank you to VeloPlus where I bought my bicycle. Thank you also for allowing me a discount on the dog carrier. Last but not least, a big thank you to my daughter who supported me with the implementation of this website.